Digital disruption is not something on the horizon. It has already happened. And hanging on to old legacy systems is no longer an option. A couple of years ago, a Cisco white paper predicted that by 2020 there will be 50 billion internet devices in use. It is not an unreasonable figure considering that 91% of adults own a mobile phone (source: Contact Babel). In the same year, Forbes predicts that 80% of small businesses will rely on cloud-based services. Rapid changes in technology have caused many organizations to re-assess their strategies and pivot to meet changing expectations in order to stay relevant. This is an especially important moment for contact centers. In the UK alone, non-telephony communication already accounts for over one-third of inbound interactions. Deloitte pinpoints the major forces of digital disruption as rapid technological adoption, changing customer behavior and increasing competition. But undertaking the process of digital transformation just to stay up to date with new technology is ill-advised. Change is necessary because the customer has changed, and with that has come a change in customer behavior. It is time to shift focus and develop a new customer experience (CX) strategy aligned with the customer journey. This includes studying data and customer insight to understand exactly how customer behavior has changed in the market as well as in relation to your business. Once you have an overall picture of how your customers are engaging with your business, you will be able to make accurate, data-driven decisions and train agents accordingly. 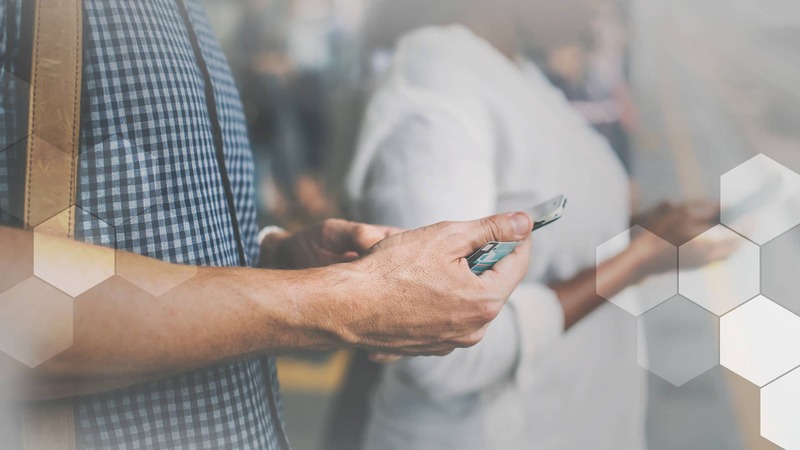 According to Dimension Data’s Technology Trends 2019 report, by 2022, 72% of customer interactions will be facilitated through emerging technologies, machine learning applications, chatbots, and mobile messaging. This shift towards digital self-service and automation shows a growing need for ease of access and convenience. Invest in the channels that customers prefer, and ensure the experience is as seamless and frictionless as possible. It is vitally important that every department in your organization is geared towards serving the digital customer. You will also need a CRM that can understand and facilitate these channels. The best way to unify your channels and manage all your customer data is to migrate your infrastructure to the cloud. Doing so will ensure all members of your organization will be on board – no more departments working across different servers and using unique software – everyone will be able to work together and access the same, crucial customer data. There are other benefits. According to the same report, 37% of digital transformation strategists believe that one of the most important benefits of digital transformation is an improvement in employee morale and engagement. Modern customers are well informed and digitally-savvy. They are also active social media users and know the importance of online brand reputation. By gearing your business towards delivering excellent CX across all channels, you are showing your customers that they are important to you. Just make sure those channels are used to their full potential. Let’s use social media as an example. If your business has a large Twitter following and many of your customers use that channel for common queries, it makes sense for your inbound customer service agents to respond on that channel. But what about your marketing team’s brand awareness and promotion efforts? A large South African bank came up with a clever solution. They used their main business Twitter account to engage with customers and promote advertising campaigns and promotions and created a second account for their customer service ‘mascot’. That mascot was responsible for handling customer queries and escalating problems to the relevant departments internally. In this way, the bank was able to fully utilize the channel on every front. The marketing team was able to use the channel to spread awareness and build a community, while customer service agents were able to deal with customer queries quickly. Beware of dismissing channels that do not fall into the accepted ‘omnichannel’ box. Take Instagram for example. Some businesses have adopted influencer marketing as a way of turning customers into evangelists. These influencers build your communities for you (and many already know the tricks of the trade for getting the most out of Instagram.) So, while a bank might not get many queries from the channel, it is an excellent pool of potential customers. When it comes to navigating digital disruption, it all comes down to understanding your customer, and making sure your business is geared to meeting their needs. Want to read more on this topic? Learn more about The Evolution of the Contact Center – and Beyond.